This tiny oil lamp measures 1½" diameter and 4" tall. Includes the jar, lid, and the wick and glass wick assembly. Lamp oil is not included. 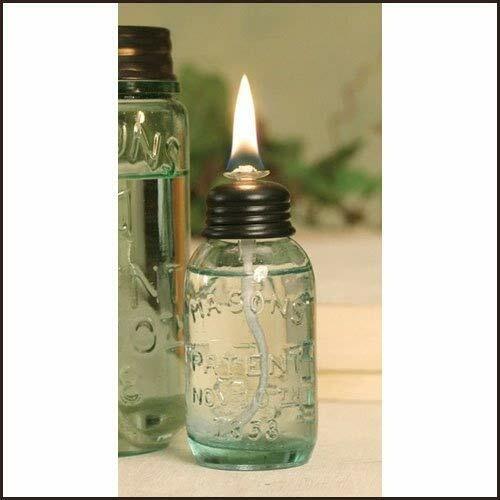 This tiny oil lamp measures 1" diameter and 4" tall. Includes the jar, lid, and the wick and glass wick assembly. Lamp oil is not included. If you have any questions about this product by Colonial Tin Works, contact us by completing and submitting the form below. If you are looking for a specif part number, please include it with your message.